Published By – UMG Music Publishing Ltd. Produced for E.G. Productions, 'David & John'. 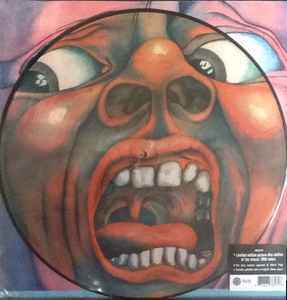 Limited edition picture disc edition of the classic 1969 debut. Cut from masters approved by Robert Fripp. Includes gatefold print of original album sleeve. Wonderful picture disc but the pressing isn't really perfect. I had 5 copies of this LP in my recordshop. All bought new. All play with a few crackles. I examined the records carefully, nothing visible on the wax. A dream come true. Both sides are beautiful, a real piece of Art.